Russia’s first primary diamond deposit was discovered in Yakutia on August 21, 1954, by Leningrad geologists Larisa Popugayeva and Natalya Sarsadskikh who probably wish they had never made the fateful discovery that changed their lives. During the Great Patriotic War, the Soviet Union was in need of industrial diamonds for use in various machines, including in weapons production. Due to the lack of its own deposits, the Soviet Union had to spend a fortune (money the country desperately needed) to import diamonds. During the war there were neither the physical resources nor the finances to search for diamonds. 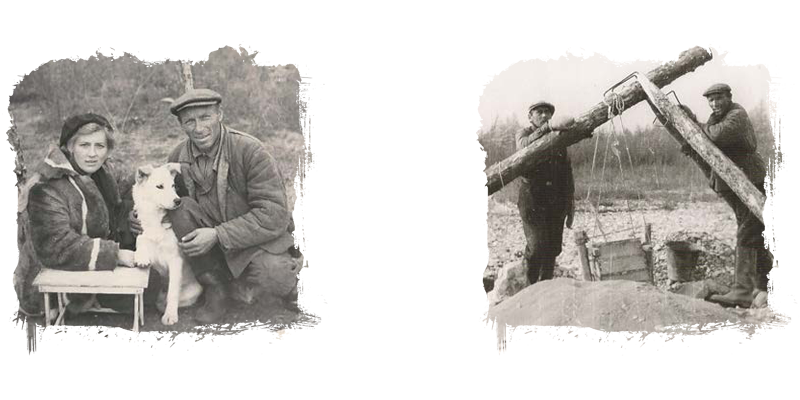 After the war ended, USSR got on the matter of searching for its own diamond deposits, including geologists whose knowledge and skills could influence the outcome the most. 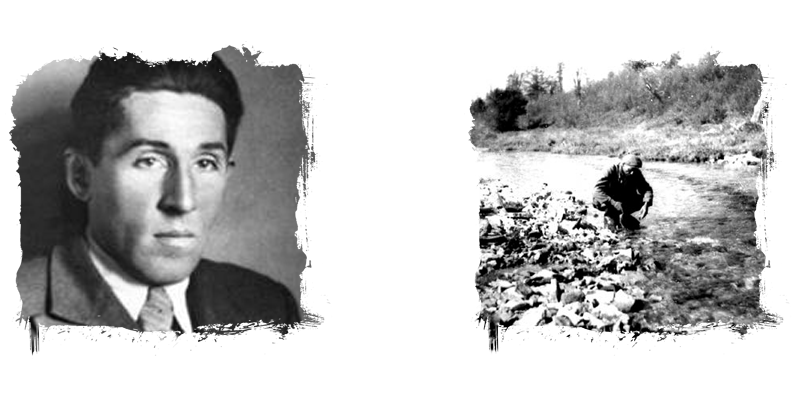 In 1946, geologist Mikhail Shestopalov wrote to Joseph Stalin saying that it was necessary to solve the problem and start looking for primary diamond deposits within the country – specifically, in Yakutia. Earlier, the Amakinskaya Geological Expedition of Union Trust 2 (Main Directorate of Ural and Siberia Geology) had already probed the Siberian Plateau and suggested that kimberlite pipes could be found by tracing the diamonds they had discovered in the tributaries of the Nizhnyaya Tunguska River. After much planning, in 1950, thanks to Shestopalov's efforts during the Central Expedition of the Third Main Geology Directorate, Party 26 was brought together to develop a map of primary concentrates (washings) of the Siberian Plateau. The party leader was Natalya Sarsadskikh who completely ignored the Amakinskaya Geological Expedition's theory and worked out her own diamond deposit search parameters. She believed that pyropes (silicates in the garnet group) were the minerals often found near diamonds. 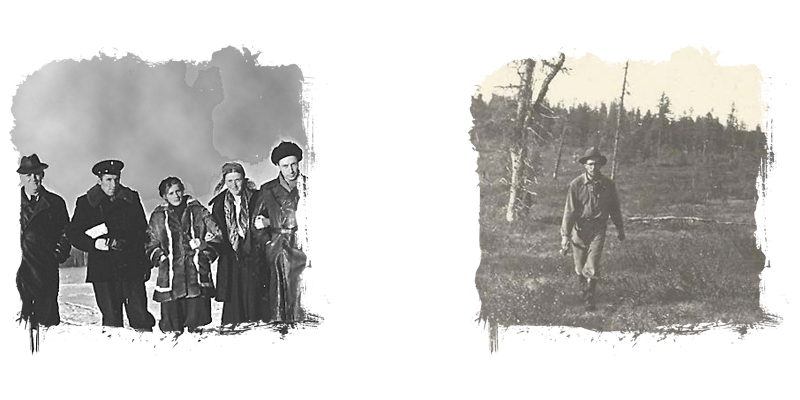 For the first two fieldwork seasons in 1950–1951, Sarsadkikh's group looked for reassurance by studying fluviatile in the Nizhnyaya Tunguska and Vilyui rivers. In 1952, they travelled along the Markha River and collected samples of diamond alluvium, the unconsolidated sediment of constant river flows. The search did not produce any tangible results. The expedition was facing a long and hard journey through a road-less terrain. For the next two months they would be isolated from the rest of the world and travel into the unknown without any radio. Only the military had helicopters. On top of that, Sarsadskikh was pregnant. In July, the taiga suffered through a drought and a fire. Geologists had to travel along sandy spits and stay close to rivers. In August it started snowing with severe cold at night, which made it hard to work in the morning because of ice covering the ground. Near the Aly-Yuryakh creek which took five weeks to reach, the party separated. 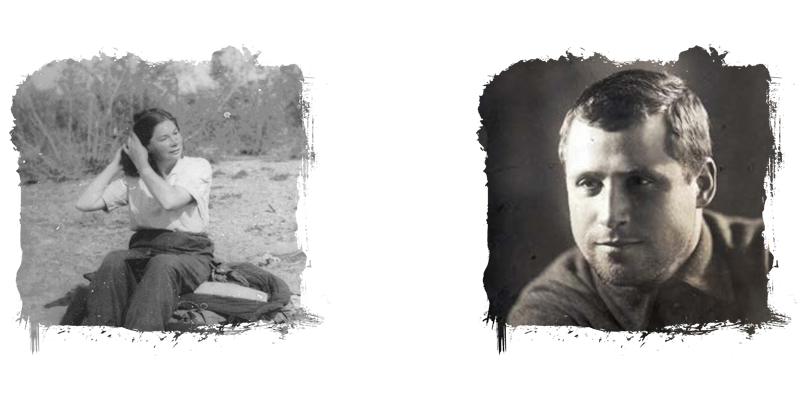 Sarsadskikh and her group went to the southwest, to the Markha River, while Popugayeva travelled down the Dalyn River with Fyodor Belikov who was a collector, a loader, a cook and a bodyguard for the expedition. During the expedition, Larisa and her assistant washed some three cubic meters of sand (almost 300 10-liter buckets) and discovered first blood-red pyropes and a diamond crystal. Later, when the two groups met again, Sarsadskikh noted that she had not seen the minerals in any of the Siberian Plateau rocks earlier studied. Eventually, it turned out that those were the garnets usually found in South African kimberlite pipes. The group reunited in late September on the Markha River, their last point before returning. But because of the cold weather, the geologists could not travel down the river for the risk of getting stuck in the ice. They were lucky to come across Shelogontsy Station, an active weather station and a camp for a geologist group working for the Research Institute of Geology and Mineral Resources in the Arctic. Finally, they had shelter, food and hot tea. They had a radio to contact the Amakinskaya Expedition and, after a long wait, they were evacuated to Nyurba on October 8, 1953. On October 12, Popugayeva was already walking around a museum in Irkutsk writing down the names of artists, titles and her opinions about the paintings. She wrote about a 19th century painting, Kivach Waterfall: "Not true to life." In 1954, Popugayeva realized that the pyrope she had found was diamond-bearing and confirmed Sarsadskikh's assumptions. In February, Sarsadskikh described the theory of the kimberlite search method based on the consistent tracing of pyropes in spring river sediment, which contradicted the assumptions of the Amakinskaya Expedition geologists. According to the new method, more frequent encounters of increasingly big pyropes indicated that the search was getting close to kimberlite bodies. Larisa Popugayeva would test the theory. Because Natalya Sarsadskikh was about to give birth, no field work was planned for 1954. But the geologist realized that their group was on the verge of a big discovery and they shouldn't stop. Their supervisors who didn't believe in a positive outcome, refused to fund further research and Sarsadskikh had to look for financial support. She was saved by the head of the Tunguska-Lena Expedition (Karpinsky National Research Institute of Geology), Ivan Krasnov, who offered to cover the expenses if one of the Party 26 members joined his party working with the Amakinskaya Expedition in Yakutia. An expedition was organized to search for kimberlites near the Daldyn River. There was still one problem: who would lead the expedition? In early July, the group departed for Daldyn. The primary concentrate search began in the estuary of the Ken-Yuryakh River where geologists found large pyropes in great numbers, which, according to Sarsadskikh's hypothesis, indicated they were getting close to a large deposit. As a result of the primary concentrate testing, the geologists found that pyropes were washed out by the right tributary of the Ken-Yuryakh, and calculated that the source must be at the top. However, Popugayeva didn't find anything there and had to return to the beginning, back to Daldyn. Popugayeva and Belikov continued to the Dyakha River where the pyrope trace was also distinct. Popugayeva concluded that the search should continue between the river and the creek. To not miss any small fragments of kimberlite, she would lie down on the ground with a magnifying glass and study the moss layer. Later, journalist and writer Valery Osipov called that the "animal way." Popugayeva herself would joke: "I started searching for kimberlites by testing pyrope and ended up with the animal way." The search reached the watershed between the Dyakha and Zagadochny creeks but because of pouring rain the geologists had to stop. 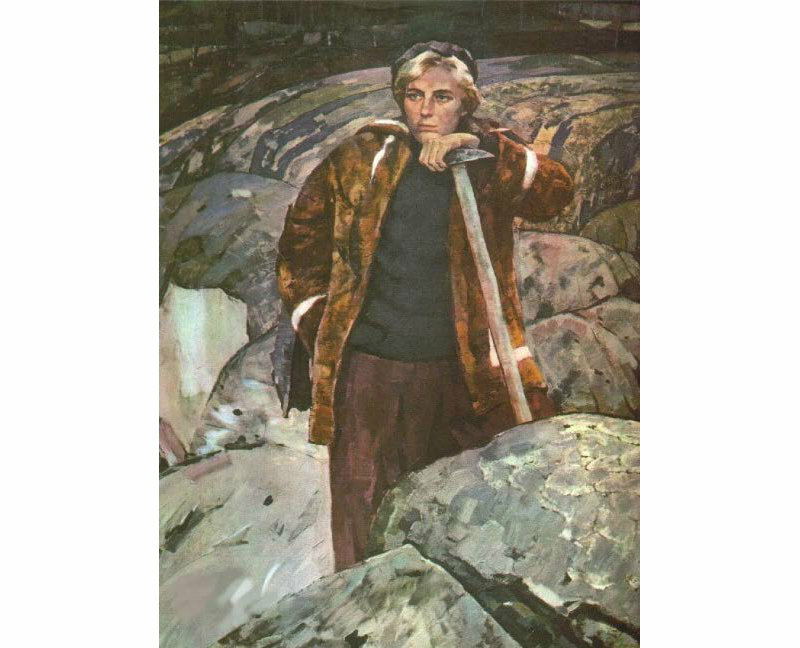 Fyodor Belikov recalls making a fire and boiling water while Popugayeva was inspecting the rocks next to it. She lifted turf and found a bluish mass with a huge number of pyropes and shouted: "Fedyunya, look, there is blue clay and it is full of pyropes!" At the time, Popugayeva still doubted her discovery. She still didn't believe that they had found a primary diamond deposit. Popugayeva's acquaintance and colleague: "I have no memory of Larisa's triumph. She was still unsure. It was important to her to confirm by x-ray that there were diamonds"
The examination of samples confirmed Popugayeva's assumptions. They indeed had found the first diamond deposit in the Soviet Union. The head of the diamond laboratory Mikhail Gnevushev named the deposit Zarnitsa, or a "distant lighting." Before coming back, Popugayeva and Belikov dug out small holes along the perimeter of Zarnitsa which turned out to be an almost even circle 500 meters in diameter. They marked the pipe on the map and marked the spot with a larch pole. Popugayeva also left a tin can with a note stating the discoverers' names, their party, the time of discovery, and wishing good luck to any subsequent explorers. 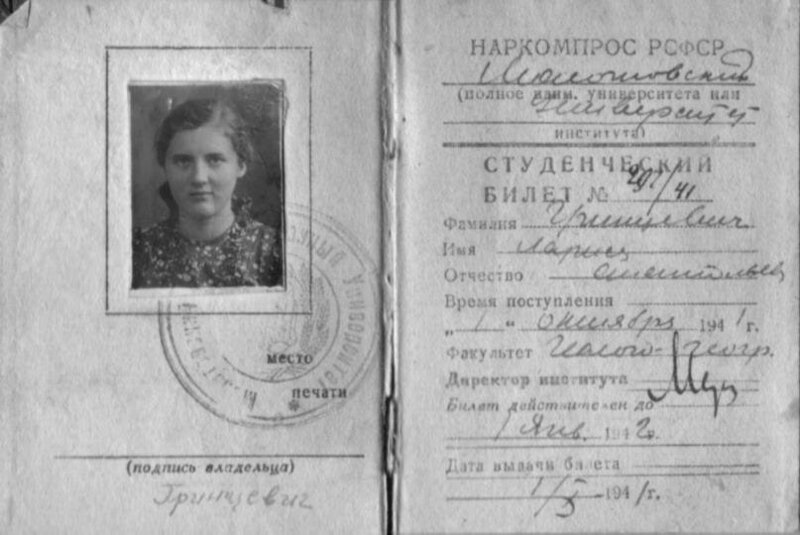 "Good luck in the further search for interesting findings to solve our problem"
On September 23, 1954 Popugayeva sent her mother a letter saying that the family could expect her home. She was certain she would be back within a week. At the time she knew nothing of the planned meeting in Nyurba and subsequent events. Almost one hundred people had gathered in the village between September 27-30, 1954, to summarize the results of Popugayeva's work and outline further steps. The young geologist thought it was odd that the Amakinskaya Expedition was taking credit for her achievements, which was clearly expressed in the party leaders' words. The Amakinskaya Expedition leaders decided to do whatever it took to take credit for the discovery and forced Popugayeva to become an official member of the expedition by backdating her papers. She was threatened and accused of allegedly stealing diamonds and disclosing expedition secrets. The geologists could not deal with the fact that a young woman only four years out of university needed only two months to find a diamond deposit while it took them ten unsuccessful years. In her book, Diamond Expedition, geologist Yekaterina Yelagina recalls Popugayeva being bullied: "She clearly realized that she was trapped and couldn't get out"
Instead of gratitude for a significant discovery, Popugayeva was threatened and bullied. She did not give in to the attacks for a month and a half but she was running out of strength to resist. On November 15, 1954, Larisa signed a notice requesting transfer to the Amakinskaya Expedition ‘by choice,' which meant handing over the rights to the Zarnitsa discovery. Back home, in Leningrad, Popugayeva was greeted by enemies and haters, her former friends who now thought she was a traitor. Her colleagues from the Central Expedition threw her desk outside in the hallway and called her a showoff while being defiantly offended. Moreover, Zarnitsa separated the two friends, Sarsadskikh and Popugayeva, forever. Natalya accused Larisa of betrayal believing that she had signed the contract on purpose to take the glory for the Central Expedition and herself, and to take credit for the new diamond search method. As much as Popugayeva tried to explain that she acted under coercion, it did not help. 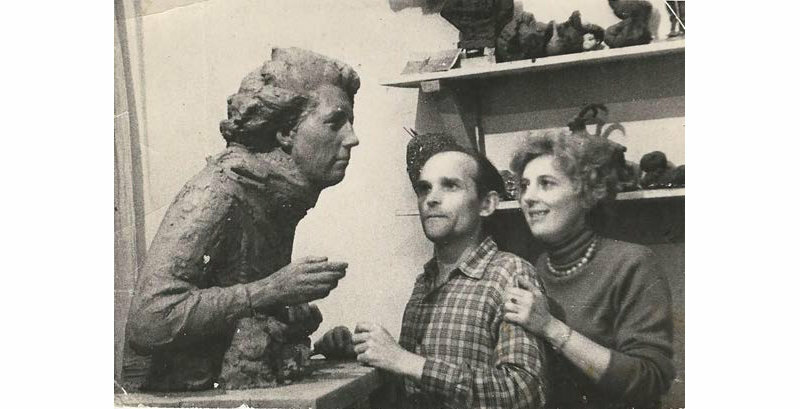 Popugayeva and Sarsadskikh worked together on the expedition report, the last link that connected the two women who used to be friends. In 1956, when Larisa was in Nyurnba describing her findings, Natalya asked for her map to use in her report. Popugayeva heartened up and attached a note to the map saying that she hoped to revive their friendship. Sarsadskikh sent a brief and dry response: "No reason to talk about friendship. It never existed." Popugayeva worked for the Amakinskaya Expedition for another two years and then returned to Leningrad. She got a job at the Yuvelirprom National Research Institute as the head of the laboratory of rock-containing materials where she worked for the rest of her life. She spent most of her years after the Zarnitsa discovery trying to restore justice and return the title of discoverer to Leningrad scientists. But all her attempts were in vain. In 1957, the Pravda newspaper published the names of the prestigious Soviet award, the Lenin Prize. Five geologists from the Amakinskaya Expedition were recognized "for discovering an industrial diamond deposit." Popugayeva and Sarsadskikh were not mentioned. 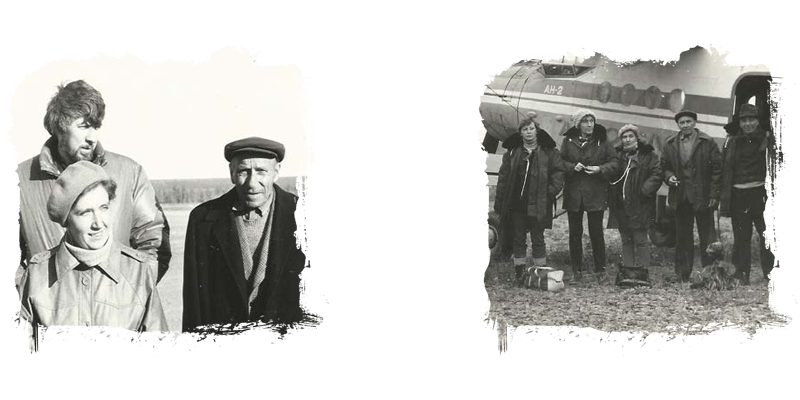 Indignant Larisa wrote a long letter to Nikita Khrushchev telling the whole story of the search and discovery of Zarnitsa and pointing out the contribution of the geologists who worked on the project. She received a reply after six months. It was rejection. As a discoverer, Natalya Sarsadskikh was recognized only years later, with the help of the director of the Yakutian Diamond Industry Museum Tatyana Vecherina who petitioned on her behalf the ministry. Saradskikh finally received her long-awaited diploma. She was also awarded the title of the Udachnaya kimberlite pipe discoverer (posthumously). Popugayeva also received prestigious geology awards in 1970, including the Deposit Discoverer diploma and badge. She also summarized her findings in an extensive thesis and was awarded a candidate of science degree. In 1994, 40 years after the discovery of the Zarnitsa kimberlite pipe, the pole used by Popugayeva to nail a board with a note, was restored. Ten years after that, on the main square of Udachny, a village founded after the Udachnaya deposit discovery, the pyrope route that Popugayeva had marked on the map received a monument to the members of the expedition that discovered the first diamond deposit in the country. After the success of Party 26, everything else progressed like a chain reaction. Geologists started discovering one rich diamond pipe after another. One of them, Mir, is the largest deposit in the world. Thanks to those discoveries, several years later the Soviet Union was the largest diamond producer in the world. That can be reached by carvel. We dreamt of their exotic beauty. What can be special about home? No landing for a helicopter. Her lips are sore but she persists. Still, no carbon crystals in sight. Not in Brazil or Transvaal. The girl from Leningrad found her diamond. Where we can find our own stones.